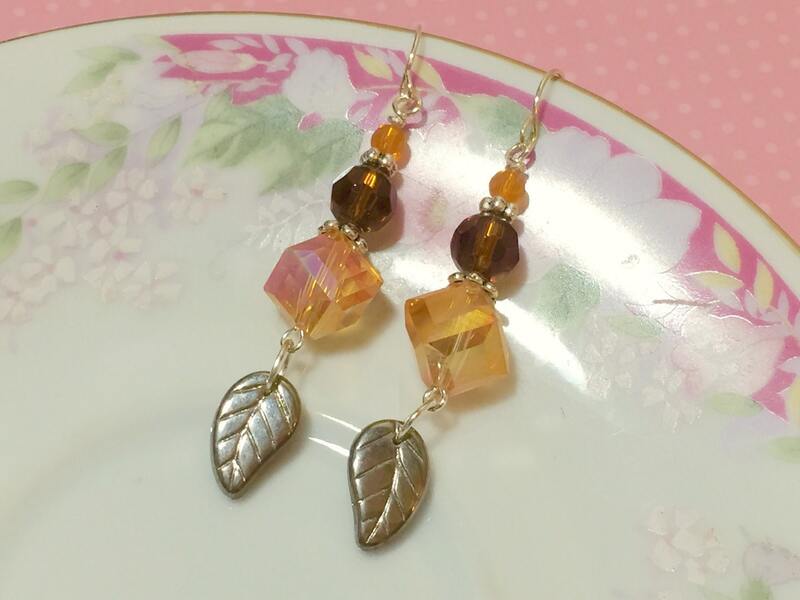 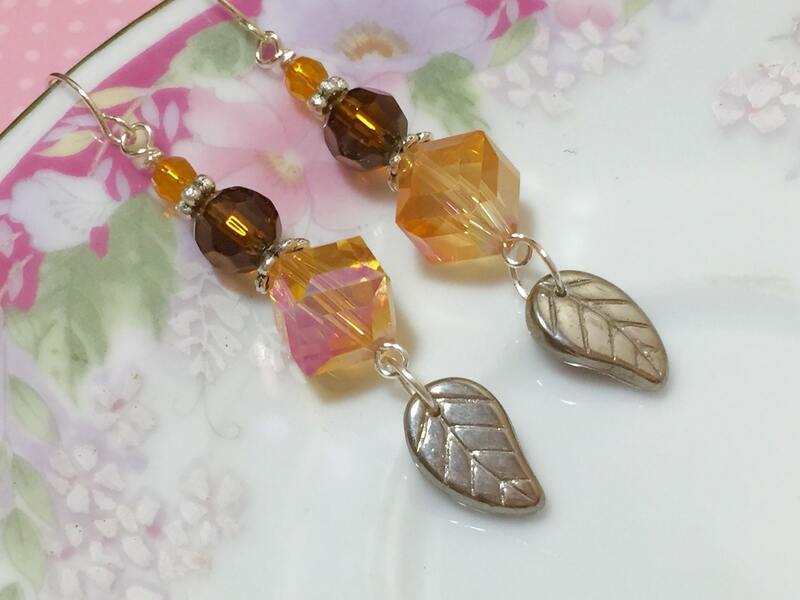 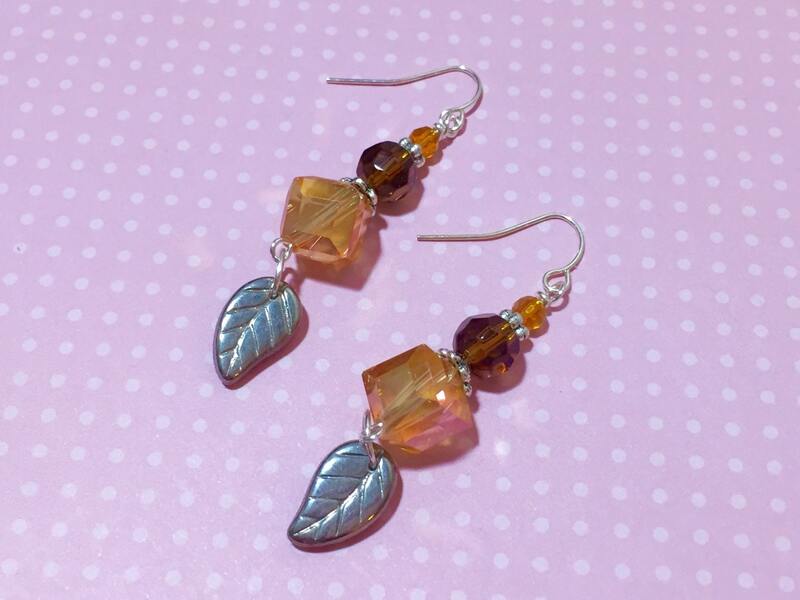 I made these gorgeous fall themed earrings with brown vintage czech glass leaves, iridescent AB glass cube beads, sparkling faceted glass brown beads, tiny faceted orange glass beads, tibetan silver beads, silver toned findings and stainless surgical steel ear wires. 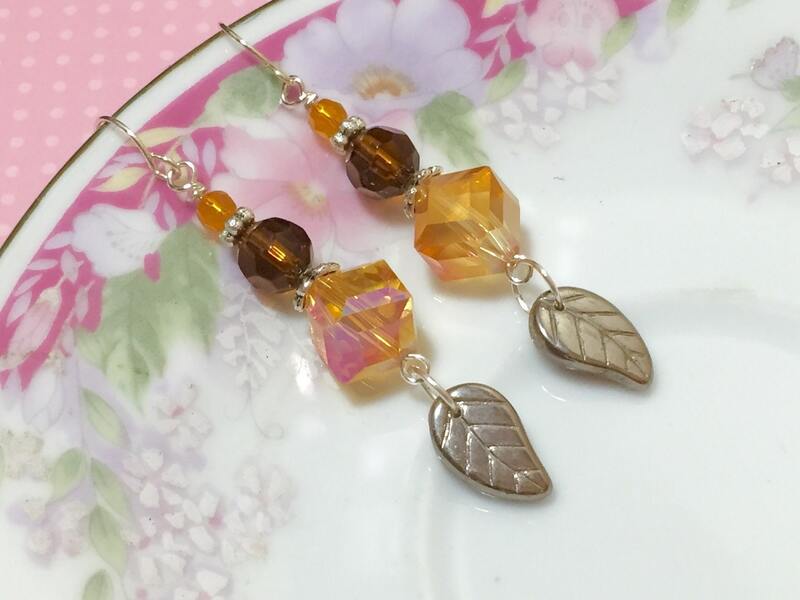 You are purchasing a pair of earrings made to order like those shown. 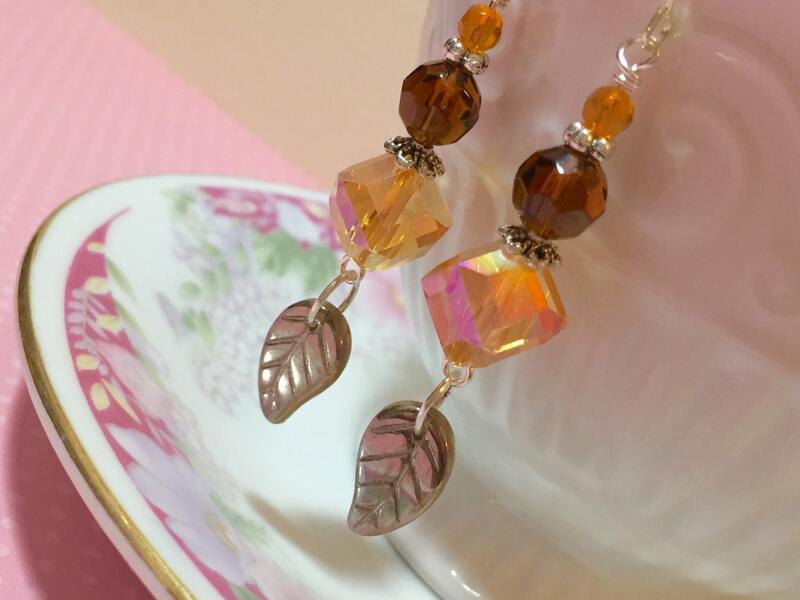 The earrings dangle about 2 3/8 inches (6cm) from the top of the ear wire to the bottom of the leaf.